With the holidays approaching, I’m starting to put holiday looks together with clients. Most of their outfits are smart casual with a few dressier occasions thrown into the mix. Here are some winning pieces with subtle bling, many of which can be worn to the office on a regular day if you bat for Team Daytime Sparkle. Or just wear them anyway if sparkle makes you happy. And earth tones are back with a vengeance, which is a breath of fresh air from the overdose of black and grey. Be sure to browse all the colour options. Bella-Vita 'Nettie' Block Heel Pump (Women): A great party shoe if you can manage the heel height. Moderately comfy. Works well on regular and high-volume feet. Good fit on high insteps. Nic + Zoe Primrose Metallic Knit Peplum Top (Regular & Petite): Easy Effective Elegance. One of the best subtle bling tops I've seen all year. GREAT fit. The peplum glides beautifully over the midsection camouflaging lumpage and bumpage. (YES, it can work for apple shapes). The neckline is flattering, and the length works for most body types. 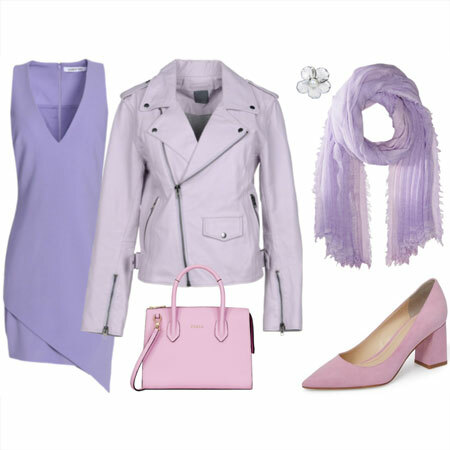 The colour is a moody shade of violet that looks like a vibrant grey. I was wowed when clients tried this on. Looks better in person. The XS will fit a US2. Zoe Chicco Freshwater Cultured Pearl Swirl Earrings: Dainty pearl earrings with a glam arty vibe. Minimally Maximal. Gabby Skye Floral Print Shift Dress (Plus Size): A Fall floral dress to wear as is or over pleather leggings to create a harder edge. Might need to size down. Layer a cape over the top for warmth. Madewell Rivet & Thread Pin Closure Bracelet: Wear one of these on each wrist and feel like Wonder Woman. Gold is less bright in person. Good fit on a narrower wrist. BP Ankle Strap Block Heel Pump (Women): A fab party shoe at a great price. Moderately comfy and fits an orthotic. Halogen Ribbed Long Sleeve Turtleneck Top (Regular & Petite): An excellent turtleneck for those who cannot wear wool. Super soft and gentle against the skin. It looks clingy, but is fine if you pull the top up a bit to create a rushed effect. Worked on clients with a bit of muffin top that way. All the colours are fab. Fuzzi Ruched Tulle Sheath Dress: A beautiful dress for a rectangle, straighter hourglass and inverted triangle. Not good if you are self-conscious about your midsection or very curvy. YES, the length works for petites with heels. Runs small. Jen7 Floral Print Stretch Skinny Jeans (Rouge Roses): Wonderfully comfy earth-toned floral jeans that do not cut off your circulation. Great length for tall gals, and good on a curvier figure. Girdling for midsection extra bits too. Halogen Bell Sleeve Rib Knit V-Neck Sweater (Regular & Petite): Tailored, soft and good on a curvy hourglass or pear-shaped body type with a defined waist and larger bust. EXCELLENT on a short-waisted torso too. The V-neck is in a good position, and flatters a shorter neck. You have to be at peace with the flounce on the extended sleeves, which looks cute peeking out from under a jacket. Kelsi Dagger Brooklyn 'Cumberland' Croc Embossed Bootie (Women): Clean, crisp and chic in the cream. Textured, casual and earthy in the brown. A little wide for a narrower ankle. Best on a regular and higher volume foot. 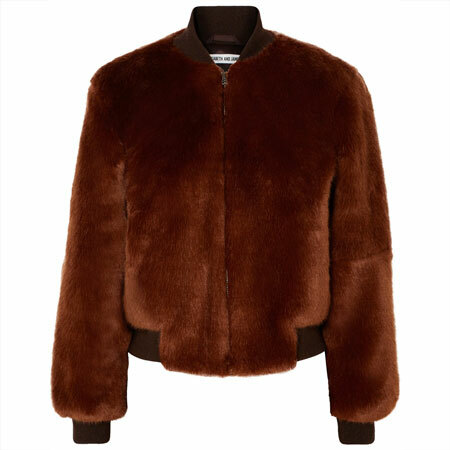 Topshop Woody Faux Fur Hood Puffer Jacket: A good short puffer on an hourglass. Surprisingly structured despite the volume. Great on a short waist. Rich shade of olive. Trendy. Halogen Side Slit Step Hem Tweed Pencil Skirt: A tweed pencil skirt with a staggered hem creates an interesting effect. The brown in the tweed provides and earthy touch. Runs small. 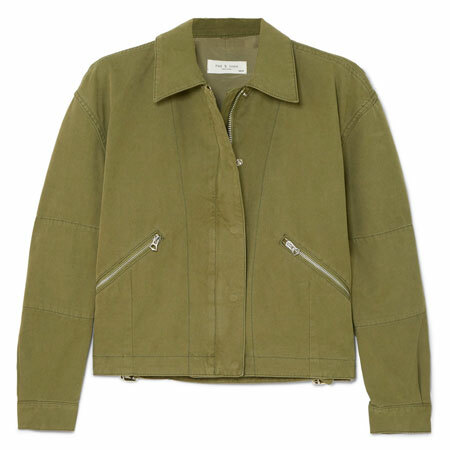 Zara Suede-effect Jacket: A fab indoor jacket to wear over sleeveless tops and dresses. Super soft, comfy, and richly olive. Good for hot Falls and Winters. 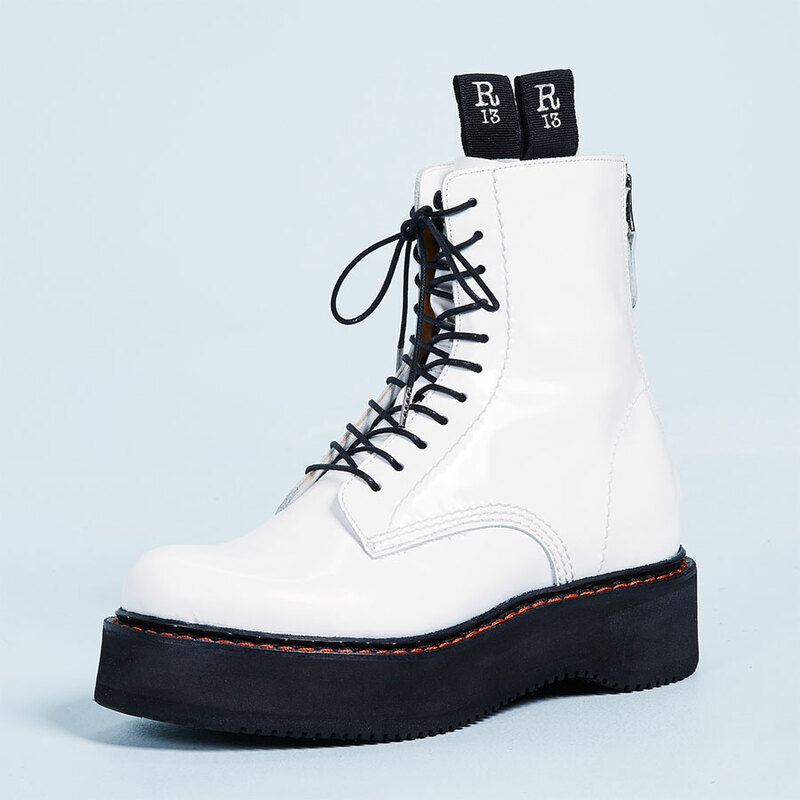 Topshop Margarita Platform Boot (Women): A '70s platform if you dare. Moderately comfy. Good on narrow ankles. Kate Spade New York 'swan - small maise' leather satchel: Quirky, beautifully made, arty and refined. Works as well as a clutch for a dressier occasion. Zara Flat Over-the-knee Boots: Wonderfully comfy and more affordable over-the-knee boots with a low heel. Rich in colour and better than black. They do not sag down your leg. Best with short dresses and skirts. Not good over leggings and jeans. J.Crew Lucite link necklace: A little plastic fabness to match your pumpkins. Nic + Zoe Chiffon Trim Tank (Plus Size): Fab tank to wear under a jacket or cardigan. Get the matching flouncy cardi for the full modern twinset effect. Might run big. Nic + Zoe Chiffon Trim Cardigan (Plus Size): GORGEOUS twinset for the holidays or for the office. Chic, pretty, streamlined and comfy. Get the matching tank top. All the colours are nice. Might run big. Vince Camuto Colorblock Waffle Stitch V-Neck Sweater (Regular & Petite): An extremely easy piece to wear over faux leather leggings, flared straights, or skinnies. The V-neck is not too low. All the colours are nice. Two by Vince Camuto Asymmetrical Hem Sweater: A good piece to wear over faux leather leggings. Runs big and long. V-neck might be a little low. Best worn with a camisole. Petites can add heels to the outfits. 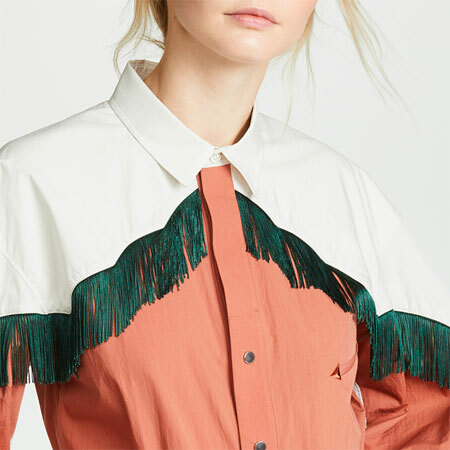 Nic + Zoe 'Making Marks' Print Split Neck Blouse (Regular & Petite): A drapey blouse that glides over an apple-shaped body type to perfection. Rich pattern and fabric. Great faux leather piping. Excellent over slim black pants. Good on a larger bust. Nic + Zoe Studded Top (Regular & Petite): A semi-fitted top with a little built-in studded bling. Comes in black. Might run a size big. Tracy Reese 'T' Flounce Sleeve Floral Print Dress: An elegant and unique dress WITH sleeves, that are interesting to boot. I love the placement of the pattern, which is the same both in the back and front. It's made of a lightweight crepe that does not crease. The strategic ruching is forgiving on the midsection. Suits both a curvier and straighter body type. Not suited to apple shaped body types. MIH JEANS 'Sophia' Stripe Sweater: A nautical modern classic that's beautifully made yet very casual. Might run small. Madewell 'Stembend' Ear Jackets: Dainty earrings with a difference. Annie Jewelry 18'' Freshwater Pearl Choker Necklace with Leather Cord Jewelry for Women As Gift: A pearl necklace for Team Casual. Longchamp '2.0' Two-Tone Leather Crossbody Satchel: The best chocolate brown bag of the year. STUNNING colour and quality. A nice size that also works well on petites. Casual Chic at its best. Very luxurious and refined, yet quite subtle. 'carima' genuine calf hair loafer flat (Women): Refined, chic and well-suited to blondes. Quite comfy. Read the rave reviews. Vince Camuto Metallic Tweed Fit & Flare Dress: A fab classic piece for an hourglass or pear-shaped petite with a regular size bust. Will not date. Add on trend silver shoes, clutch and jewellery and you're in business. Runs big. Zara Short Anorak With Hidden Hood: The best short fitted puffer I've seen all year. Glitzy, chic and dressy. Not sporty. It's Zara but very well made. The black piping detailing is SUPERB, the chevron quilting is awfully slimming, and the cut on the funnel neck is architectural. Long necks pull off this style best. The red is less bright in person. More fire engine than tomato. Comes in four colours. The toffee is hanging in my coat closet. I LOVE it. Ted Baker London Marble Faux Fur Jacket: A fashion-forward faux fur cropped jacket to wear over a black dress or with blue and black jeans. Looks equally good over a column of black. Modern Retro Fabness. Zara Crackled Leather Mid Heel Shoes: A snip-toe pump with a trendy block heel in a metallic brown is hard to find. Unique. Gorgeous on a narrower foot. These are moderately comfy for short periods of time. Good for party wear. Anthropologie Cascading Ruffle Pullover: A rich rust peplum for those who like ruffles and enjoy defining the waist. Fairly fitted on the midsection. Read the rave reviews. That IS a lot of earth tones! My eye still has to adjust to that but I do like them. Some nice pieces here. I find myself really drawn to the accessories especially the pearl earrings and necklace. Oooh! Cascading ruffle pull-over! Lots of beautiful pieces here. So many pretties here! I am seriously considering the Amazon pearl necklace, it looks very delicate. I also really like the Anthro cascading ruffle pullover, and will be stalking the blue version, as rust does me no favors. I am going to check out the silver BP pump to go with my dress for an upcoming cocktail party, fingers crossed! Lots of pretties here! I am unexpectedly drawn to the swan handbag. There’s something about the shape and the swan design that really speaks to me. I have the J Crew lucite neckpiece in the other colour way (a faded peach lucite with a bordeaux ribbon) which I wear with olives and dark blues. I can attest to the quality of this one – really worth the $ . I like the looks of the little olive “suede” Zara drapey jacket…..I am wearing olive with bordeaux/wine and/or navy almost daily right now. You’re definitely right about earth tones – such a great change even for those of us who are committed wearers of black. Beautiful choices as always, Angie. I’m really tempted by the Nic and Zoe peplum. My older metallic top (an INC in a taupey gold with a great asymmetrical hem) had to leave my closet due to wear. It was also less flattering now that my hair is silver. But I have found a subtly sparkly sweater to be one of the best holiday items to own for my casual life and this one sounds like a winner if it would not be too large on me. Such a great collection! I am going to try the N&Z Primrose top as I am fond of grays with purple undertones. I also am wondering if it will work (weight, proportion and color-wise), with the Zara drapey topper you featured recently. Love that topper! So many fun items! The Nic + Zoe top with its subtle sparkle looks divine. Also loving the two pairs of earrings, those gorgeous tall brown boots! Lots of great pieces here! I have been waiting to see your pick for basic turtleneck this year and the Halogen fits that need, working on its own or as a layering piece. I love the Zizzi ruched dress and will be stalking it for a sale. I had been eyeing the Kate Spade swan bag for a while, and right after your last recommendation there was a 25% off promo so I pounced. I wore it last week to a fancy company dinner in the city and it was perfect. Love. Glad you like the roundup, ladies. RobinF, I bet you look great in earth tones. Tanya, I knew you’d like that necklace. And the blue version of the ruffle pullover will suit you to a tee. Zoiechic, hope they work out. Remember that you needn't walk miles in them. "Sitting" shoes. Alexandra, that Swan bag is unique, isn’t it? YAY, KL! Rachy, I think they just might. Lisap, thanks for the necklace validation. I've bought a few for friends as birthday presents too. 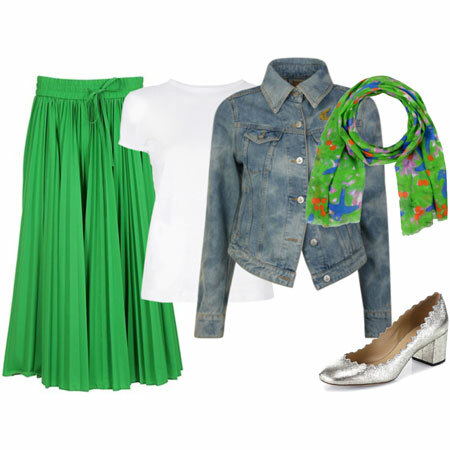 I like the sound of the palette of your outfit – EARTHY! The navy cools it down. Suz, that brand usually runs big, but I think the XS will fit. It runs smaller than usual for the brand. Inge, I HOPE the violet Primrose peplum top works out. It has plenty of length. Joy, check out the Gap and J.Crew for T-necks too. Thank you for a lovely roundup! That peplum top is so pretty, what a neat purply/grey color! I love the sleeve detail. I took a good long look at it and am not sure if I would try the medium or the large and now I see you say it may run small. hmmm. Great pieces! I am very tempted by the olive puffer! Great subtle sparkle! I like the Madewell raw brass cuff. I have a brass cuff and, as the Madewell description says, raw brass develops a nice patina over time. Or, if you’re on Team Perpetually Sparkly, you can polish it. So many good choices! I’m thinking the N&Z peplum might be perfect for my casual holiday season. I DO like the choice of persimmon-y tones this season! lotsa of lovely choices. Question on color block top: on what body type does a color block item best suit? does it tend to broaden the physique? Also love the Nic and Zoe metallic top, perfect subtle bling. Ooh, love the cascading ruffle sweater and the Zara olive suede jacket. What a lovely and varied selection, and I especially appreciate the addition of jewelry here, as I’m looking to update my collection. As for earth tones, I’ve been wearing “my” earth tone (olive) frequently and enjoy the shift away from grey! CJ, that depends on your own figure flattering priorities. The V-neck on the colour block top helps streamline the silhouette. My mouth waters at the ruche and the flounce dresses. Unfortunately out of my budget and out of my size respectively. Thanks for posting this list of recommendations. I really like the red Anthro ruffle top and the Nic & Zoe peplum tunic. Another fan of the Nic+Zoe peplum top. Also, I didn’t realize floral printed pants could work for fall/winter. Yay! On another note, even though they often aren’t quite what I’m looking for, Angie, I can’t tell you how much I appreciate it when you have plus size items in the collections. It makes me feel “seen”. Great items! I need silver shoes and that Vince Camuto Asymmetrical Sweater. Is the Two by Vince Camuto grey /black asymmetric sweater metallic? I can’t tell from the Nord description….but thought it was because you have included it here…. It has a subtle sheen, Lisap. YES. Glad to hear it, Barbara. Lovely pieces, especially the cascading ruffle pullover. All these earth tones are making me happy. I love the rust tops. Very nice selections! Those floral jeans are super cute. The more I look the more I like! The bag and jeans are gorgeous! The metallic shoes, yummy. I own the pearl and the lucite necklace, so yay! The Swan bag, that is. Subtle bling and earth tones could very well be my style. Years ago I had my colors analyzed (to compliment skin and hair) and was declared an “autumn”. Earth tones have always made me feel happy and look healthy. Olive green and dark gray-green serve as neutrals for me. Every day deserves a little bling, sometimes subtle, sometimes bold. I am thinking the turtle neck, the ruffled front pullover and the calf hair shoes will be good additions to my wardrobe and gets lots of wear. Thank you for a great selection! Thanks for your reply, Angie. I’m keeping an eye out for it here. Heads up on Nic and Zoe Primrose Metallics: it runs small. I usually wear a medium but will return and order the large. Great top, subtle bling, forgiving in the hips. Love the metallic on the sleeves. But I would size up. I am a member of this blog but typing fast, no time to log in. But wanted to let everyone know.